Heat a non-stick sauté pan or a comal over medium heat. Place a couple flour tortillas, many as will fit in the pan or comal, top with a generous amount of shredded cheese and one or two slices of ham or turkey. Cover with a second flour tortilla. Heat until the flour tortillas in the bottom become lightly toasted and cheese starts melting. With the help of a spatula, flip them to the other side and let it heat and crisp a bit. I like to wait until the cheese oozes out, browns and crisps a little! Transfer to a plate and slice in half or quarters. Serve with a salsa of your choice and slices of ripe avocado on the side. Your website is taking forever to see a recipe – I was able to download the Episode, but then when I click on the photo or title of the recipe I want to see, nothing happens. I am having to reload the URL-website address about 5-times before it finally appears. Prior to finanlly working, your systems is telling me that you have malfunctions. Please get this corrected immediately for all your loyal Patrons. I do enjoy your show with the kids, family and friends, as well as the tours through many cities you vsit in Mexico. During the marathon this weekend so many people were looking at recipes that the site crashed…but all is fixed now…and I hope you and all of your family enjoy the recipes! Hola Charlenna, Try my recipe for Jamaica Popsicles! You can find it here: http://patijinich.com/2011/05/jamaica-popsicles.html. Thank you so much for watching!! Hola Wendy, Thank you for the good feedback on my recipes. Let me know if you try the snapper recipe. This was the first episode I watched, and I decided I will be a regular viewer from now on. I loved the comparison of quesadillas to grilled cheese sandwiches. 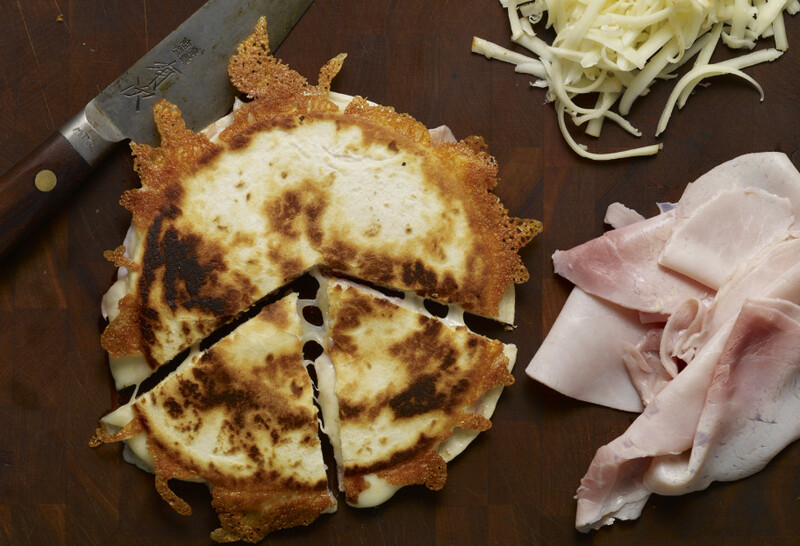 This ham and cheese sincronizada will become a favorite, I’m sure!